Paula Prober has done in her new book, Your Rainforest Mind: A Guide to the Well-Being of Gifted Adults and Youth, what I've wished to do throughout my career as a coach to gifted people: she has presented the public real gifted people working through their real issues one by one in therapy. She shows how they grow, come to understand their gifted minds, learn self-acceptance, heal from trauma, and reach new heights of personal success (however they themselves define it). Much of the past and current literature on giftedness sounds academic and dry, and even though there is certainly room for and value in gifted theory (I spend a lot of my own writing time in that domain) and gifted research, "meeting" live gifted people who teach us via their own therapy, struggle, and breakthrough more about who we are, why we struggle, and what we can do to improve our lives, is a great gift! Paula's characteristic eclectic, warm, and far-reaching style goes from family systems therapy, to research on motivation and creativity, to giftedness research, to spirituality, to somatic experiencing, and on and on. It crosses so many domains that readers feel hope, as though the world is opening wide to them as they read her pages; her words not only provide one path for moving forward, but many paths to explore and choose from at will and as needed. Throughout the book, Paula gives a wide array of meaningful resources such as books, authors, websites, types of therapy, talks, and research. I saw many of the same resources I recommend to my own gifted clients (Carol Dweck, Steven Pressfield, David Shenk, and many others), and learned about many resources I hadn't previously been aware of and am now curious to explore. I found myself laughing aloud reading some of her dialogues with her clients, as they are practically word for word the kinds of conversations I've had in my own sessions with clients over the years (and sometimes, with my own mentors and previous therapist and coach). She covers the wide range of typical issues that plague gifted people, such as anxiety, procrastination, neurotic perfectionism, hypersensitivity, extreme empathy, high idealism, existential depression, relational trouble, isolation and loneliness, bullying, career boredom, and in more severe cases, attempting suicide. In each case, she gives an example of a client struggling with the issue and details how they worked through it together in therapy sessions; and she gives ample food-for-thought and resources to help readers combat or resolve those same issues in our own lives. Paula presents the common dilemma of the gifted person who is stymied in their search for help from a non-gifted therapist or coach. Gifted clients can seem clever and to be doing quite well because they understand their situation clearly on the mental level, but understanding and application are two different things, and this is something that can easily "fool" therapists who are not aware of the other side of the gifted coin. Her book is a huge shout out to the world of the immense value of specialized therapy and support for gifted people. 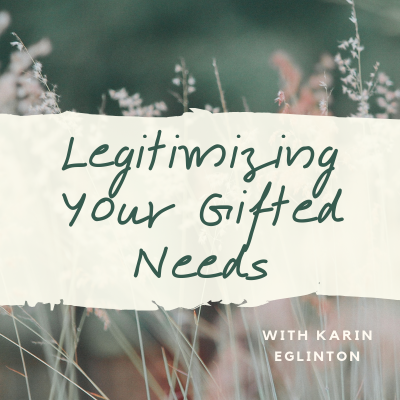 She explains how counselors and helping professionals who are unaware of what giftedness is can also make mistakes in diagnosing their patients/clients - sometimes with ADD, bipolar, or other rather serious conditions - when the symptoms are actually signs of giftedness. Of course, there may be both a disorder and giftedness present (what is called "twice exceptional"), and Paula gives great resources to learn more about that when that is the case. But she shows how to differentiate between these situations, so that gifted traits aren't being mistreated as a "disorder." This book opens up a world where change is possible for a "rainforest mind" who has gotten painted in a corner in relationships, career, family, personal development, and self-esteem. 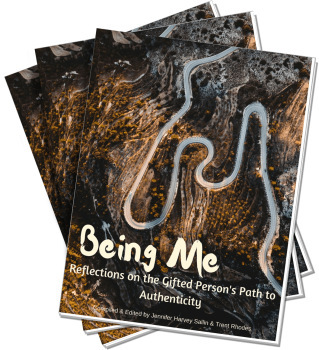 It is obvious reading Paula's work why she was made for helping gifted people, why her presence and her work strike such a chord with gifted people of all ages all over the world, and why people eagerly await her contributions. She is a model for us all - helping professionals working with gifted people and gifted people ourselves. Should we all be like her when we are celebrating almost 40 years of work well done, we should all be grateful and proud. Thank you Paula. You can order Paula's book on Amazon and learn more about her work at www.rainforestmind.com. Watch Paula's InterGifted Coaching Network Talk!